I had a really bad accident and my horse flipped on top of me? Hello I’m a 24 year old female. I am 5’5″ and weigh about 260lbs. I know I need to loose weight but I have a BIG problem that conflicts. I also have PCOS. The main issue though is my back. I have been an Equestrian for about 21 years now but for the past year I have not been able to ride or compete. When I was about 8 I had a really bad accident and my horse flipped on top of me. Didn’t notice much pain in my back til I started marking band. When we got it checked they said that I had Scoliosis with a 19° curve of my spine and at that time I had 2 bulging disc in lower back. Well then 2 years ago I slipped and fell on ice. I did 6 weeks of physical therapy and then got a Epidural Steroid Injection. It worked a little then the following year I twist weird at work dealing with a large dog ( I am a dog groomer) and then saw Dr again and he did an MRI. 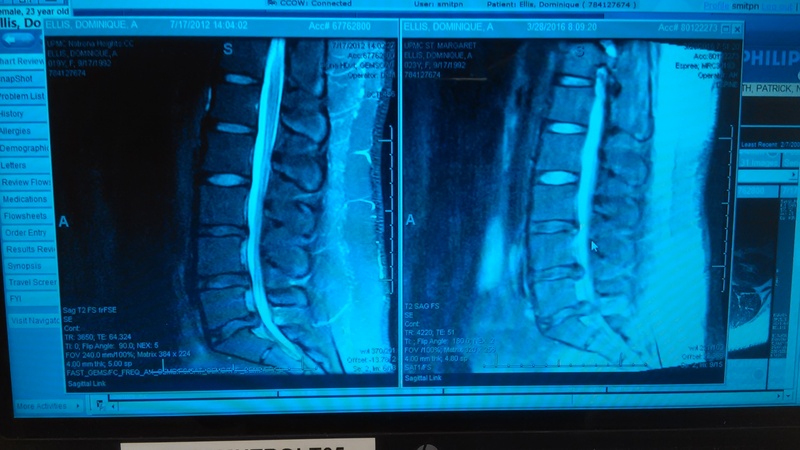 He found out that the 3rd disc that was going bad….has now herniated the whole way out, and the disc above it herniate half way and the one above that isbstill bulging. The only thing Dr did was put me on 75mg of Diclofenac twice a day. Worked at first but has not done too much good recently. Recently I have so much pain in my lower back, hips, knees, and ankles. It is affecting my job and my life. I can barely walk, sit, or stand, and I have an extremely hard time sleeping. It is mainly on the left side but I get some pain on the right. I also have numbness on my right calf and foot. So my question is …. What are my options? The pain is very extreme and almost to the point where I can’t do much of anything. I DO NOT want to take a bunch of pills or do physical therapy again. But I also don’t wanna jump into surgery. I’m just trying to figure out my options and go from there . I plan on talking to a different back specialist very soon. I have in closed a picture of the left side is my back in 2012 and on the right side is my back now in 2016.